New Delhi : Three times Chief Minister Sheila Dikshit will be replacing Ajay Maken as the Delhi Congress chief months before the party goes for Lok Sabha Assembly Elections in 2019. Mr Maken had resigned from his post last week. Even before the official announcement, Ajay Maken tweeted, "Congratulations to Sheila Dikshit for being appointed as the state Congress chief again. I got the chance to work and learn under her as parliamentary secretary and cabinet minister. I have full confidence that under her leadership, we will play the role of a formidable opposition against PM Modi's and Arvind Kejriwal governments". With Sheila Dikshit leading the party in Delhi, there are prospects that the Congress may join hands with Arvind Kejriwal's Aam Aadmi Party to fight against BJP in the upcoming elections. Mr Kejriwal had been co-opted into the proposed Grand Alliance against the BJP for the national elections by its key interlocuters - Chandrababu Naidu, Mamata Banerjee and DMK chief MK Stalin. 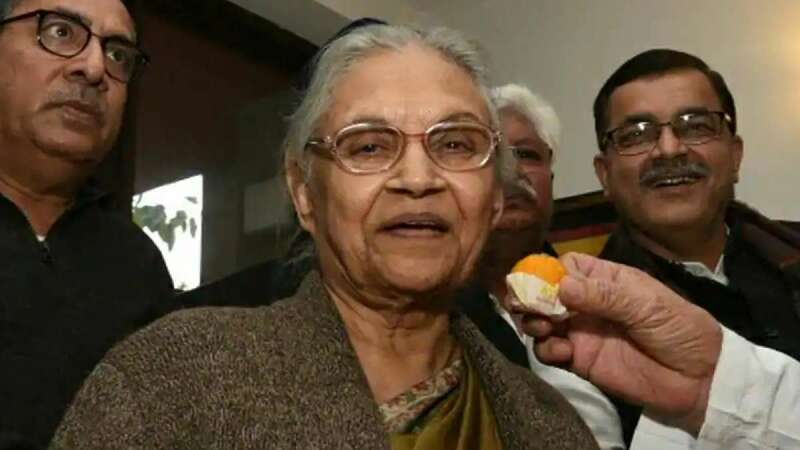 80-year-old Sheila Dikshit is the longest serving Chief Minister of Delhi. She served the goverment from 1998 to 2013.